Only by daring to forge new paths can one hope to leave a lasting mark on the world. RINGL dares. 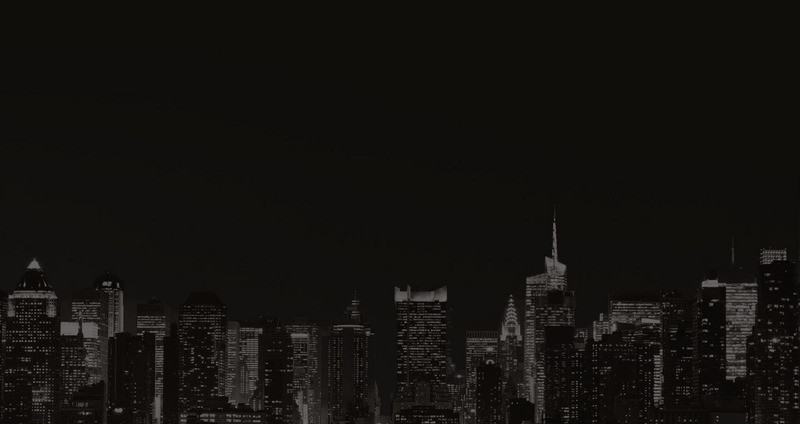 We combine familiar materials, and we innovate new materials and processes, in our quest for The New. 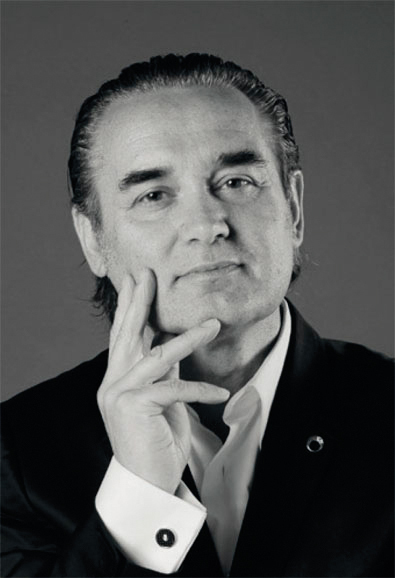 We recognise the influence of both the present and past, so that we can create the products of the future. And at all times we keep the highest standards of materials and craftsmanship, of empathy and creativity. The world’s finest business cards. Made from a single sheet of special hand laminated carbon fibre measuring 55 by 85 millimetres. Protected by many layers of our unique varnish and resin. Light, elegant and a powerful statement of your identity. Custom design includes your choice of colour, graphics and lettering. Your approved design is laser engraved before colour is applied by hand and allowed to dry naturally. Made with the world’s most desirable technology. Still greater than the sum of its parts. Centuries of business tradition. Decades of luxury design expertise. More than 20 years of carbon fibre research. And over two days of manufacturing time for every business card and card case produced. 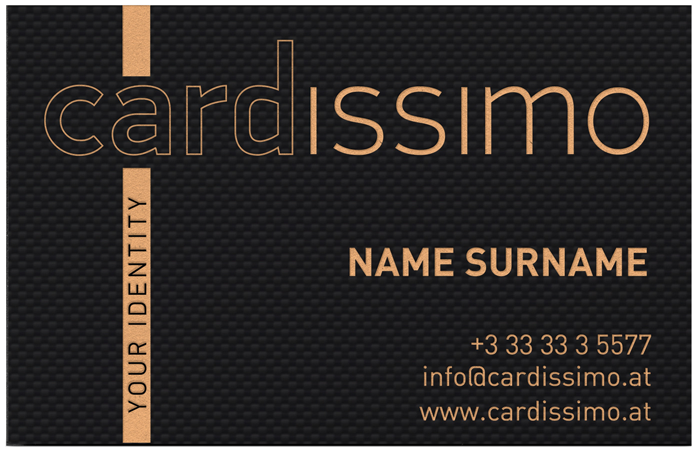 All culminate in one exquisite collection: CARDISSIMO. The Cardissimo Collection was created for those who appreciate the very finest details. Like the holographic shimmer of light on special carbon fibre. The rich hues and endurance of superior hardwoods. Bespoke engraving that combines advanced laser cutting with traditional hand colouring, varnishing and polishing. 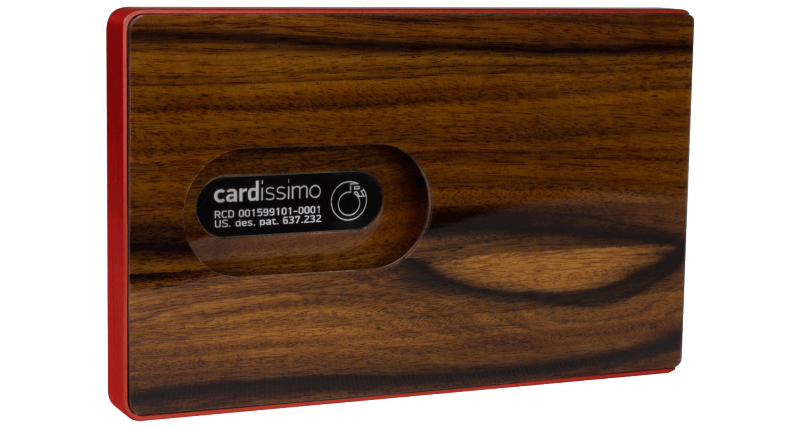 Yet Cardissimo is somehow more than the sum of its beautiful materials and craftsmanship. 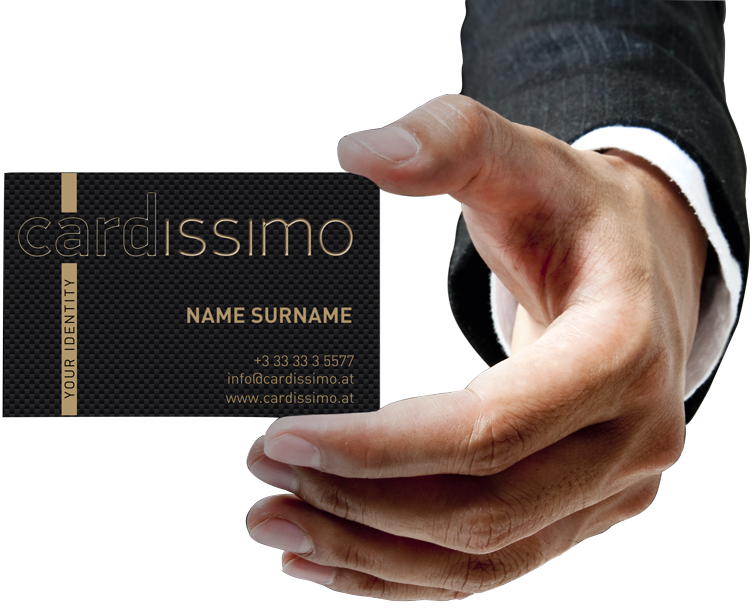 Inspired by time-honoured Japanese customs, the presentation of a Cardissimo card is a gesture of true respect and fellowship. The business cards and cases themselves are a statement of identity unlike any other. Each bears the personality of its owner, from colour selection to engraving of graphics and lettering. 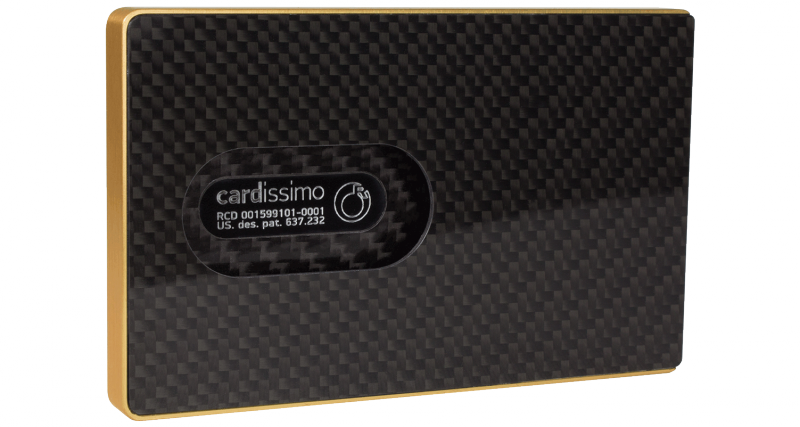 Each must be perfectly formed if it is to meet Cardissimo’s impeccable standards. CARDISSIMO is the business accessory, perfected. The perfect accessory for your business or credit cards features an effortless original design, allowing you to slip out a card with just a slide of your thumb. Found in Central America,Ziricote is a unique hardwood with very few imitators; an ideal material, therefore, for the CARDISSIMO Collection.